Social media giant Facebook has given Messenger a facelift, reducing the number of tabs offered on the app from nine to three. The Chats tab lets users quickly see messages, both from friends and groups. The tab also makes it easy for users to start new conversations and use the camera. 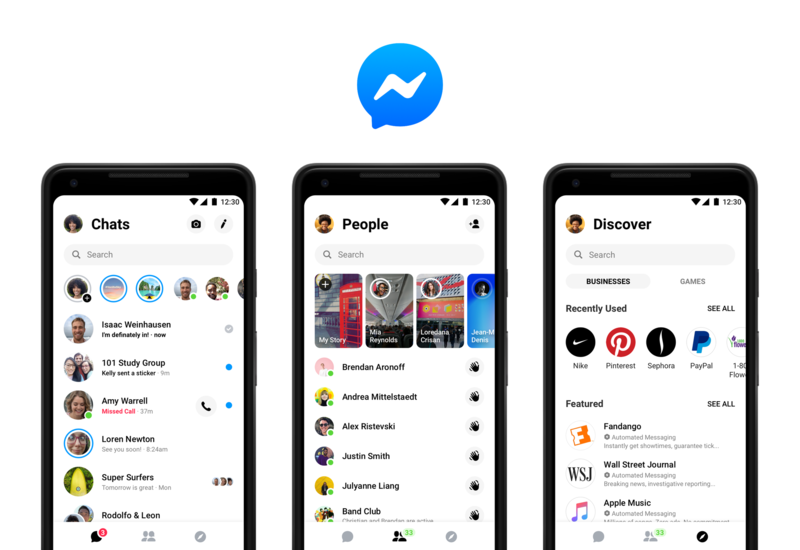 Messenger’s People tab now combines the Active and People tabs to make it easier for users to find friends, see who’s active online and catch up on friends’ Stories – all in one spot. The Discover tab connects users to their favourite brands, discounts, Instant Games and more. Finally, Facebook has revealed it is planning to introduce ‘Dark Mode’ on Messenger – a re-skinned interface that cuts down the glare from phones.